With so much in the press recently about younger patients seeking cosmetic treatments as a result of social media and selfie crazes, it’s perhaps not surprising that we’re now seeing facial rejuvenation treatments increasing in popularity. In the UK there has been a year-on-year rise in both men and women undergoing cosmetic treatments to reduce wrinkles, improve skin tone and texture, and lift and tone the skin, with facial rejuvenation treatments including dermal fillers and facelift surgery on the rise again. 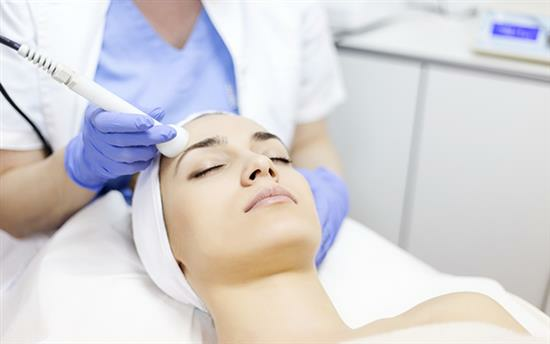 However, new research suggests patients who may be short of time, or unable/unsuitable for facial rejuvenation surgery, are choosing to undergo non-invasive treatments to save on the recovery time. Known as ‘tweakments’ these non-surgical anti-ageing treatments are often designed to offer small and natural-looking results which, whilst not rivalling cosmetic surgery procedures in London, can improve a patient’s self-esteem. These non-surgical facial rejuvenation treatments and contouring procedures include non-invasive nose reshaping and energy-assisted body contouring, as well as dermal filler lip augmentation. The newspaper suggests that whilst the surgical alternatives offer long-term results, these non-invasive facial rejuvenation treatments can offer patients with minor concerns simple and subtle results which can easily be maintained if needed. Who is suitable for facial rejuvenation treatments in London? It really depends on what you’re hoping to achieve. Non-surgical alternatives to facial rejuvenation treatments can provide excellent results, specifically for patients seeking small changes, however, they cannot replace surgery. For example, non-surgical rhinoplasty is performed using dermal fillers, so the underlying structure of the nose is not altered. The results will need maintaining with further treatment and can end up costing the patient just as much over the course of a lifetime. However, many patients find non-surgical nose reshaping a good way to determine if the permanent result of rhinoplasty surgery is going to be as hoped. It’s best to book a consultation to find out more information and suitability. The choice to undergo cosmetic surgery is a uniquely personal one. An aesthetic concern that may bother one person may seem unimportant to the next, and it’s an individual decision to make. Most patients seeking facial rejuvenation surgery are hoping to improve their self-esteem and quality of life through augmenting or altering part of their physical appearance. Beauty is, of course, subjective, but for some patients choosing to undergo cosmetic enhancement is life-changing, as it can also improve their health and body balance. But when is the right time for cosmetic surgery; is there an ideal opportunity to undergo invasive surgery to alter your appearance? The truth is, it‘s all down to you. If you would like a more detailed explanation regarding any facial rejuvenation treatments in London book your consultation with Mr Jag Chana. The surgeon and facial expert will address your ageing or aesthetic concerns and discuss which surgical or non-surgical facial rejuvenation treatments to improve your skin or face are best for you.